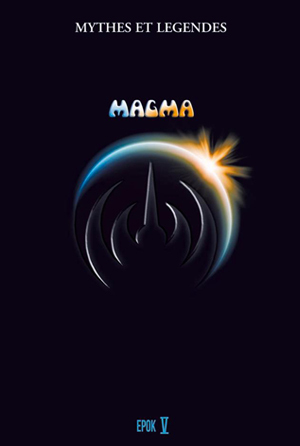 After the success of the DVDs EPOK 1-2-3-4, published in 2006 and 2007, the Triton again welcomed Magma in June 2011. This was for a nine concerts cycle to complete the DVD series “Myths & Legends ” . EPOK 5 not only includes pieces from 1971, 1977 and 1978 but also Félicité Thösz , the latest MAGMA release, heard here in a version prior to the recording of the album. There are, in addition, 20 minutes of unpublished music. A dynamic and extremely musical edit enables the listener to enjoy the band at the height of its powers, showcasing the intensity of each composition and the technical prowess of the musicians. The exceptional sound quality was captured as usual by Francis Linon who knows, better than anyone, how to record the power and musicality of MAGMA.